In these remarkable pages are the profound, life-affirming words of Morrie Schwartz as he faced his own imminent death. In 1994, at the age of seventy-seven, Schwartz learned he had ALS, commonly known as Lou Gehrig's disease. Undaunted, the former professor embraced his illness, choosing to live passionately and calmly until the end. He also embarked on his greatest teaching adventure: sharing his evolving knowledge of living while dying. -- develop an inner space for meditation and spiritual connection. It's never too late to become the kind of person you'd like to be. Morrie shows the way in his magnificent legacy of love, forgiveness, transcendence, and redemption, a guide to living fully to the end of your days. 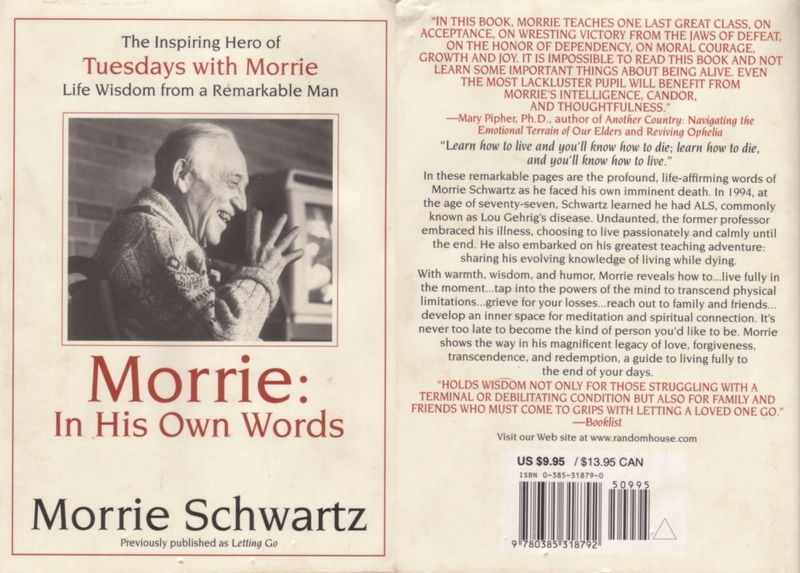 Morrie's willingness to talk about his illness made him an inspiration. In 1995 Nightline ran three interviews in which Ted Koppel spoke to Morrie about life, death and the disease that was afflicting his body. 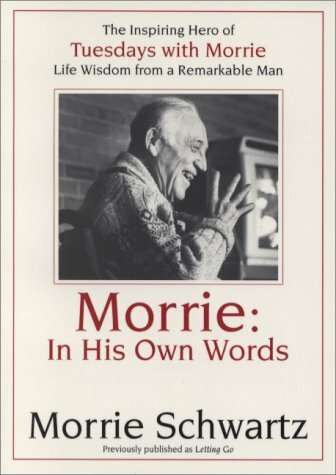 In Morrie: In His Own Words, Morrie combined inspiring lessons with practical advice to help those who have chronic or terminal sickness and to help those close to them maintain healthy emotions and loving relationships. As life-affirming as it is life-releasing, Morrie: In His Own Words will have a profound effect on generations of readers. It's only fitting that this book should head to rarsberry once I'm done - the copy of Tuesdays With Morrie that I currently have in my possession originated with her! Will read soon and the send it off to visit NZ! This book wasn't quite what I was expecting, but Morrie's words are inspirational none-the-less. His words seem to be directed more to someone in a similiar situation as him, i.e. 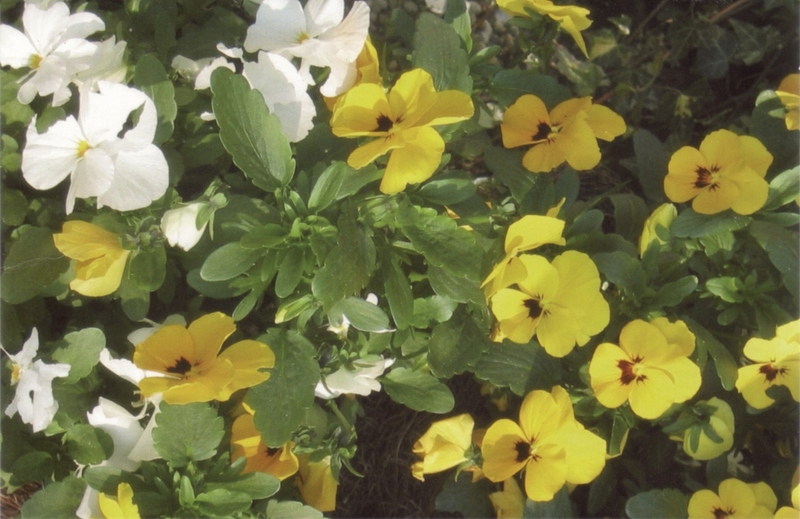 struggling with an illness and facing death. I'm glad I read it though, it was a nice accompaniment to Tuesdays With Morrie. Off on a journey to rarsberry in NZ. Happy travels, little book! This book arrived in the mail today (Tuesday). I wasn't expecting it so soon , it only took 6 days to get from the USA over here to New Zealand. Its amazing sometimes how fast the mail can fly around the world. I finished this book this morning. A very quick read indeed. I agree with ellymae58, that the book is mainly directed either at those that are ill or people that know someone who is, with its wise words. However some of it can be used in general life. I'm making this into a bookray for those who are interested in reading the book. The list below will be put in order when I close the bookray. Yikes! I didn't think it'd take so long to get to it, but I'm starting this book tonight. Sorry to hold things up! Very wise words, but certainly not as readable as Tuesdays with Morrie. That one was a great read, IMHO, for anyone whereas this one seems more targeted at those suffering a similar situation to Morrie's. Since I'm not, I had a hard time (didn't get all the way through it) focusing. I decided to move on to happier material. Finished this book the other day, and it was a real quick and easy read. Even though I did like Tuesdays With Morrie better, I thought this was still a great inspiration and a nice companion to the other book. Sending it on early next week. Received this book in the mail today. Looking forward to reading more about Morrie. I took this book with me on vacation and enjoyed reading it. Lots of wisdom that can be used for everyday life as well as coping with a serious illness. I mailed this book to mirp today. Thanks everyone for sending out this book! Recieved today. I'm looking forward to reading it. Thanks for the postcard carlissa! Many thanks. I found this book an easy read. I felt there was something for everyone who read it to take away. He was a remarkable man, his strenght and courage in the face of such a ravaging disease was amazing. It would certainly be a book to recommend to anyone with terminal illness or they're family members. morrie was posted off to biba89 today. It arrived on my doorstep today. Thanks! I will read it soon. Filled with wisdom and tenderness. I was touched by his account of all his negative emotions, the grief, the depression, the anger, he could experience and write about. What a beautiful man. Thanks for sharing this. In the mail to dutch-flybaby. <-- Thanks for the beautiful postcard biba! Oops, biba89 has read the book a lot faster than I anticipated :-) Oh well, I'm reading a book at the moment that is not easy to read while taking a bath, but this book is, so I just might start it soon anyway. I finished reading this book today and was touched by it, just as I was by his other books. What a wonderful writer this man is! Will send the book to niksu asap. Mailed the book to niksu today. Happy reading! Received this book in the mail today. Thanks dutch-flybaby. Few ringbooks ahead of this but I try to be fast. Short and easy to read. I'm glad I got chance to read Tuesdays With Morrie before starting with this one. Thanks for sharing rarsberry! 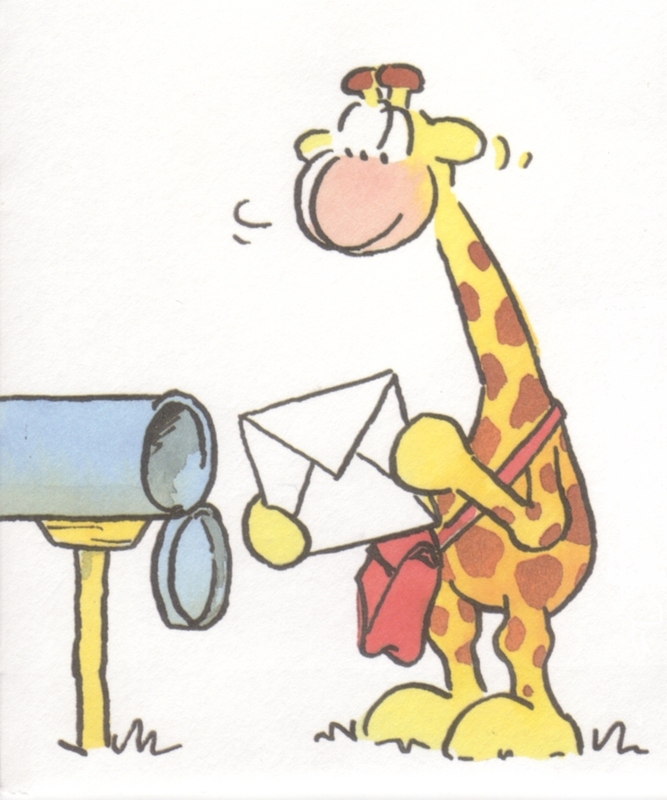 I will mail this out as soon as I get Hellies address. ***EDIT 31.10.05 The book is now on its way to hellie. we can't be accused of that. Picked up at last night's excellent Newcastle BookCrossing meet. If this had been written by someone else, I would considered it to be a pretty average self-help book, sadly. Mitch Albom probably did a better job getting Morrie's message across than Morrie did. Updated 1 July: Taken to the BookCrossing UK Unconvention in Birmingham. Picked up at the UnConvention in Birmingham. I found Tuesdays With Morrie a very inspirational book. Reading what other bookcrossers have written, it seems that this book is relevant to those facing an imminent demise. Having recently lost my oldest friend (over 50 years) to cancer I shall read it with her in mind. One man's wisdom, gained through his personal experience of life and shared with us as he approaches the end of it. He offers suggestions appropriate to someone facing terminal illness, and to carers, friends and family. I found it rather depressing, although there were wise words and good lessons to be learned whilst still fit and well. I picked this book up at a meet-up in Wendover Woods (thanks for bringing it Herrgirl). I have recently read 'Tuesdays with Morrie' so look forward to reading this one to see the other side of the story! Wow - this book has done some miles!! Received in the post today. Thanks very much for sending it on to me, Katybean. I especially 'enjoy' books with these kind of themes i.e. acceptance etc. Welcome to bookcrossing and thank you for picking up this book. you.....then read and release for someone else to find! !